A fast moving game that sorts b's from d's. 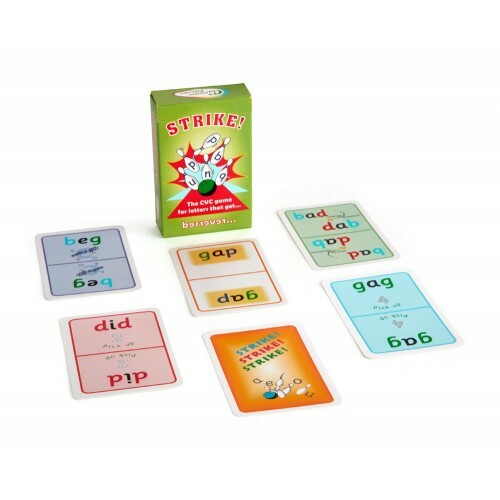 The game is similar Uno®, but with CVC words that have the reversible consonants b, p, d, g, m, and n in their spelling. Fast and fun to play. 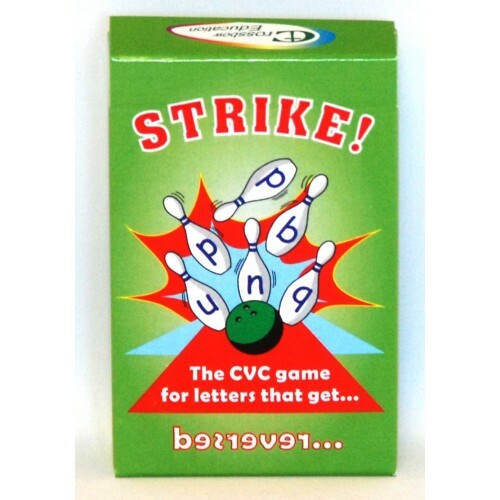 “Strike” was one of the games that established Crossbow as pioneers in the dyslexia world. Based on traditional card game play - take an extra turn, pick up 2 cards, change direction etc. - STRIKE! 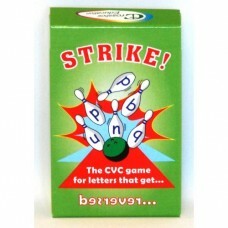 only contains CVC words with consonants that can easily be reversed. Fun for any age and ability, and helpful for anyone who really has to focus on those letters before they turn into something else!